Enjoy four days of sun, surf and sat beautiful Kings Beach on the Sunshine Coast, during the13th annual Caloundra Music Festival, 4 to 7 October 2019. The Kings Beach and surrounds will come alive to the sounds of a diverse line-up of entertainment featuring the best of the Australian music industry as well as incredible international artists. 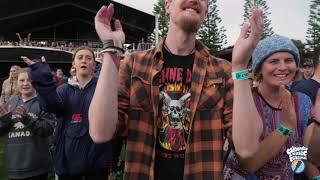 The Caloundra Music Festival aims to bring a broad audience of locals and visitors together in celebration, to enjoy world-class music, food, arts and local culture and to showcase the natural beauty, creative talents and unique character of the Sunshine Coast. Adult $60 - $415 Price levels vary depending on ticket type. Child $17 - $175 Price levels vary depending on ticket type. Concession $49 - $175 Price levels vary depending on ticket type.